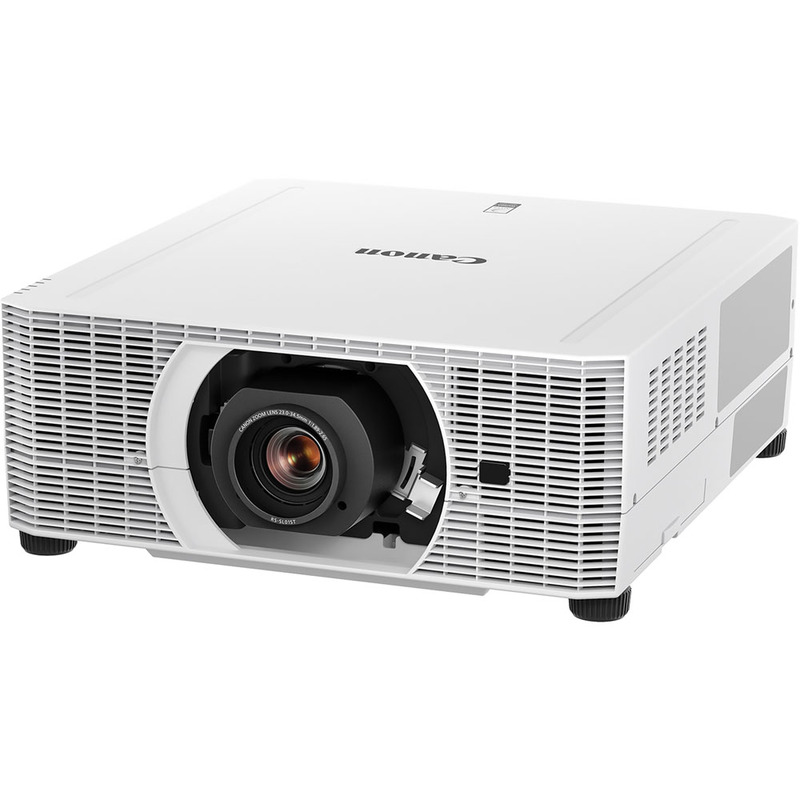 The REALiS WUX7500 LCOS Projector combines exceptional image quality, high brightness and superb quietness at only 27db, along with a wide range of interchangeable lens options and advanced features in an innovative design. The REALiS WUX7500 is ideal for higher education, corporate applications, advertising, marketing, houses of worship, simulation, training, museums, galleries and more. Its low-noise operation makes it especially suitable for quiet environments such as higher education and medical fields. Native WUXGA (1920 x 1200) resolution enables a highly detailed image in a large, widescreen display with both high brightness of 7500 lumens and a high contrast ratio of 2000:1. The REALiS WUX7500 features Canon's own, unique LCOS technology with AISYS-enhancement, producing virtually seamless images with outstanding color reproduction and saturation. Advanced color management tools also allow independent color adjustment for highly detailed color control.